World Wrestling Entertainment (WWE) is the world leader in sports entertainment. Use the WWE app to stay in touch with your favorite superstars. 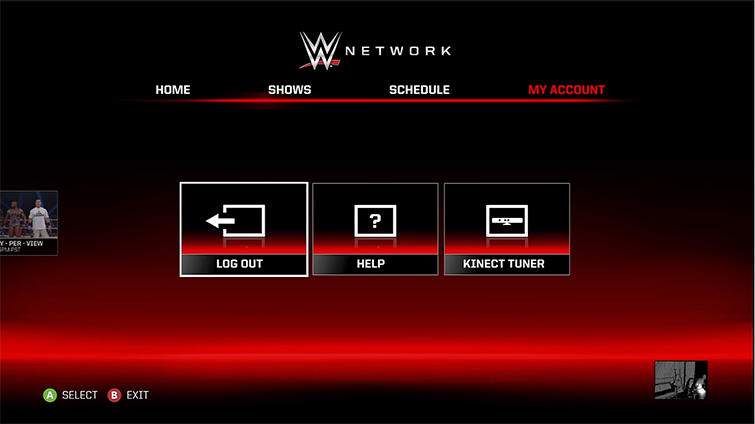 Don't miss a moment of your favorite WWE pay-per-view (PPV) events with the WWE app on Xbox 360. You'll need a WWE account to sign in to the WWE app. To sign up for a WWE account, go to wwe.com, select SIGN UP, and follow the steps to create your account. Select WWE to download and install the app. After the download, the app automatically starts, and you can browse through the catalog and view details about the available content. Follow the steps to associate your WWE account to your Xbox 360 console and your gamertag. Watch the live content featured in the large center tile. At wwe.com, you can access your credit card information and review your purchases and purchase history. If you use Family Settings to control what can be watched through your Xbox 360 console on Xbox Live, the WWE app will follow whatever settings you've established. 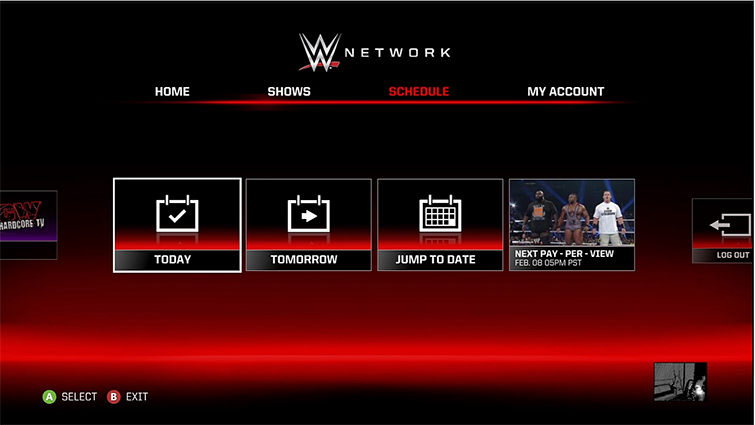 For example, if you prohibit TV-MA-rated television shows from being watched through your console, those TV shows will be marked with a "restricted" icon when you watch them in the WWE app. To play a locked item, an adult must enter the Family Settings passcode and change the settings. ¿Quieres contactar con el Soporte técnico con referencia al problema "Set up and use the WWE app on Xbox 360" acerca del que estabas leyendo o con referencia a otro problema?